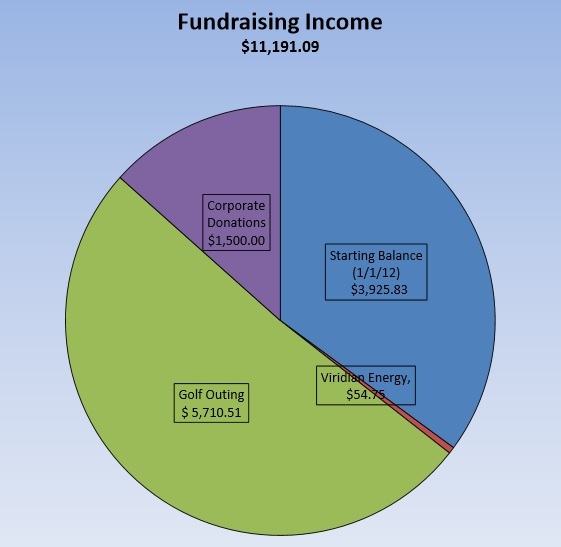 This chart illustrates the sources of income generated by fundraising efforts for 2012. It's critical for our club's success to sustain and increase this income in order to meet expenses such as field rentals. To see a breakdown of total income and expenses (Financial Report), click here.